On Thursday, a homeowner returned to a home on the 1200 block of Katherine Center and discovered a burglar in their bedroom. In a review of surveillance video, officers discovered Jose Armando Montes Guillen fleeing the bedroom through an open window with a black backpack. Guillen lives in the neighborhood and is believed to be responsible for additional burglaries in the area, police said. Officials describe Guillen as an Hispanic adult who is 5 feet 11 inches tall, weighs 240 pounds, with brown hair and brown eyes. Guillen is known to frequent motels in the San Luis Obispo County area, police said. 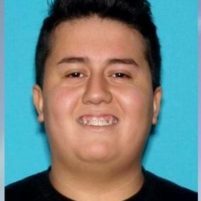 Officers are asking anyone with information about Guillen’s location or the alleged crimes to call the Paso Robles Police Department 805-237-6464.